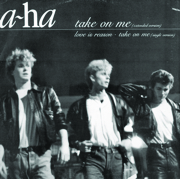 Not OMD’s biggest chart hit – even Locomotion got higher – but their most well-loved. Possibly because it summed up everything that was different about the group: leftfield but pop, whistle-able but war-fixated. 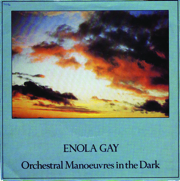 This was also the single that pushed them over the hump from cult, ex-Factory group to serial hitmakers. 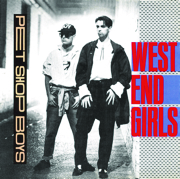 We had some office sweepstakes going as the votes were coming in for this Top 100, and West End Girls was odds-on favourite to take the number-one spot. The second single version, that is. The first – the cheap, cheesy, throwaway mix produced by Bobby O – charted at number 17 in Belgium in the summer of 1984, but failed to register anywhere else. But then along came Stephen Hague’s remix – and a complete rebranding of the duo’s image and artwork. As a result, Neil Tennant and Chris Lowe were sitting pretty at number one in the UK (and Belgium) by the end of 1985. Alison Moyet and Vince Clarke’s big dance track, Don’t Go, made it to number 44 in our countdown, and here’s their big, heart-stopping ballad. The duo’s original version reached number two in the UK in 1982 (kept off the top by Nicole’s one-hit wonder A Little Peace), and by the end of the following year we still hadn’t heard enough of the song, the Flying Pickets’ a cappella rendition becoming the Christmas number one. 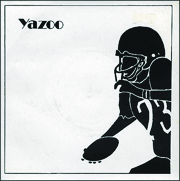 Years later, that added Christmas memory made the Yazoo version the perfect choice to soundtrack the Christmas special of The Office in 2003. It was nothing short of genius that Dave Ball and Marc Almond managed to take a flop Sixties Motown B-side and turn it into one of the biggest-selling and most fondly remembered singles of the Eighties. It was a single released when the duo were at one of their lowest ebbs. 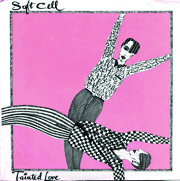 Soft Cell’s first single – A Man Could Get Lost/Memorabilia – had failed to chart in the UK, so they had a lot riding on this. But their genius won out in the end – as a UK number one, a Top 10 hit in the US and 1.27 million sales to date will testify.